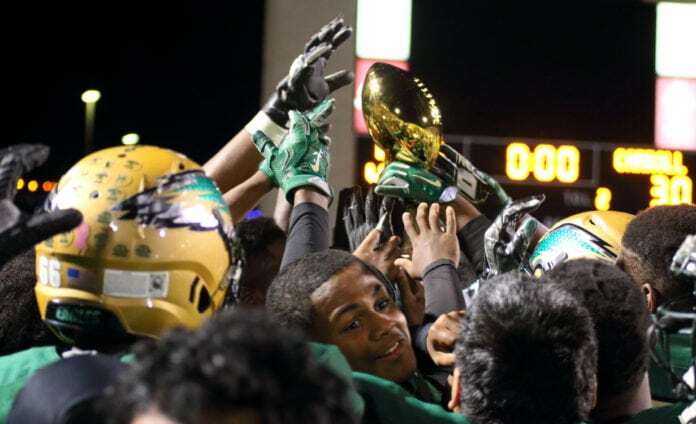 DESOTO—The Parks & Recreation Department is leading the charge in celebrating the Class 6 State Championships won by our DeSoto High School Football Team, the Boys Basketball Team and the Girls and Boys Track Teams of 2016. The event is being called, “The Ultimate Tailgate Takeover” on Saturday, January 7, 2017 from 11 am to 1 pm at DeSoto High School. This event will highlight all of the accomplishments of DeSoto High School students participating in activities that resulted in a win at the state level. A number of community supporters were on hand October 25, 2016 for the Chris Dyer Gymnasium renaming ceremony . A special recognition ceremony celebrating the accomplishments of our students will take place in the Chris Dyer Competition Gymnasium. Doors will open at 10:30 am. Guests park in the East and South parking lots. Students park in the West parking lot. 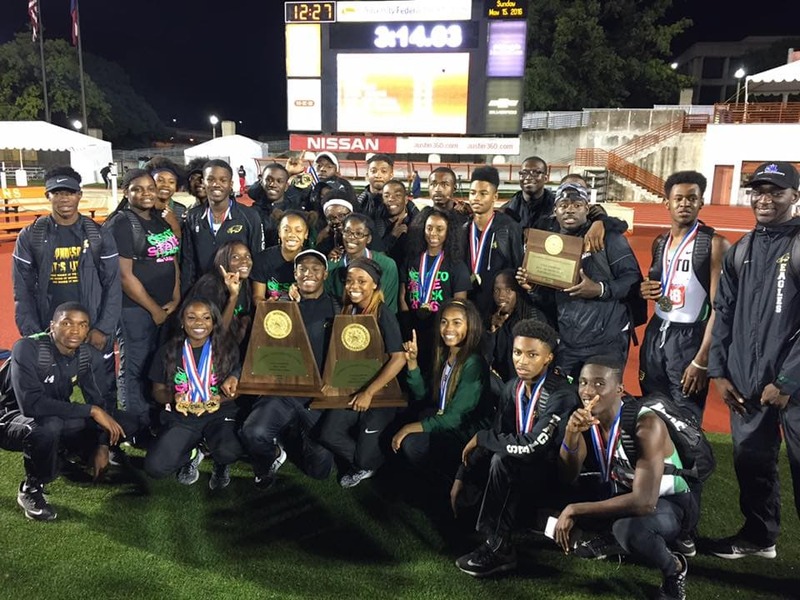 All boys and girls track members with both the State Meet trophies and individuals medals. 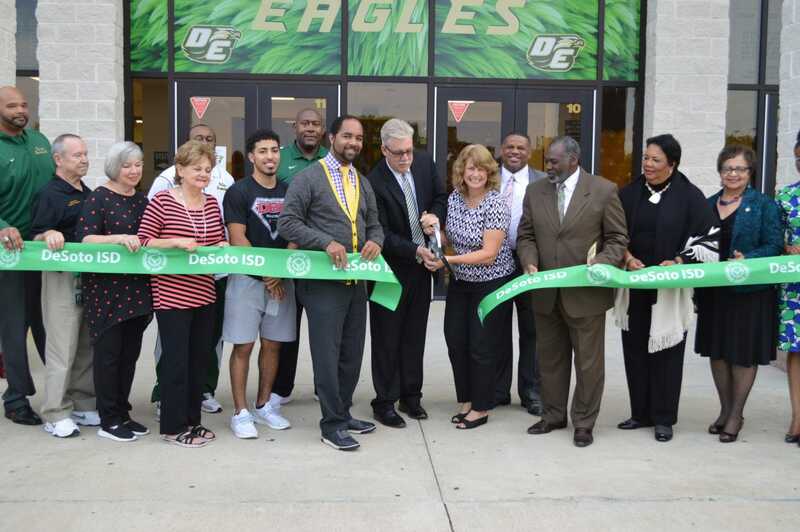 The ceremony will feature a procession of the student athletes, comments by DeSoto Mayor Curtistene McCowan, DeSoto ISD Superintendent Dr. David Harris and Eagles Coach Todd Peterman along with performances by the DHS Eagle band and cheerleaders. K104’s Lady Jade will also be on hand to congratulate the students. Seating is limited. There will be a DJ and food trucks in the parking lot for those unable to enter the gymnasium.